If you ever need something to help you express your inner five year-old self, then dungarees are your thaaang. When I put these on for the first time (after not wearing dungarees since my younger, more care-free years where my first thought wasn't "does my bum look big in this? "), I was five years-old again, running around my nanna's garden with ice cream covering every inch of my face, without a care in the world. 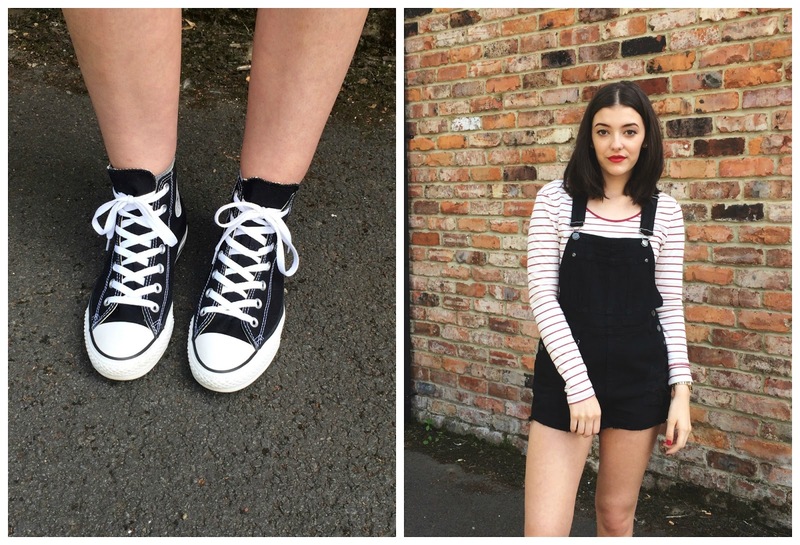 Obviously, your priority when buying something isn't going to be making you look like a toddler, but dungarees are just one of those things that bring out the child in you and seem to put a better spin on everything. Maybe I'm pinning a little too much hope on an item of clothing, but if I believe that dungarees are the solution to all life's problems, then don't burst my bubble.